With "Smack! 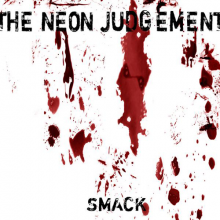 ", their first studio album since "Dazsoo" (1998), The Neon Judgement once again prove the relevancy of their presence on today's music scene. Here's a band that is still angry - song titles like "The Great Consumer", "Leash" and "Smack!" live up to their promise - and, most of all, still vintage Neon Judgement: recognisable yet firmly rooted in the new century, brawly and without compromise yet swinging and hopeful. It's good to know they're there.